The University of Rio Grande and Rio Grande Community College Office of Accessibility and Mental Health Services will host the second annual Rio Out of the Darkness Suicide Prevention Walk 10 a.m., this Saturday, April 14, 2018 at Rio’s main campus. RIO GRANDE — This spring, individuals from throughout the University of Rio Grande and Rio Grande Community College and the surrounding areas will come together to participate in the second annual Rio Out of the Darkness Suicide Prevention Walk hosted by the Office of Accessibility and Mental Health Services. The event will take place at 10 a.m. this Saturday, April 14, 2018 at the Lyne Center parking lot. This event supports the American Foundation for Suicide Prevention’s local and national education and advocacy programs and its goal of a 20 percent decrease in the annual suicide rate by 2025. Kelly Bonice, director of accessibility and mental health services at Rio, said the planning committee is dedicated to continuing to promote awareness for suicide prevention. The Rio Out of the Darkness Campus Walk is one of more than 125 Out of the Darkness Campus Walks happening nationwide this year. The walks are expected to unite more than 25,000 walkers and raise over $1 million dollars for American Foundation for Suicide Prevention’s efforts. The organization is dedicated to saving lives and bringing hope to those affected by suicide. AFSP works to create a culture educated about mental health through community programs, develops suicide prevention through research and advocacy, and provides support for those affected by suicide. To continue promoting these efforts locally, Rio is collaborating with the Village of Rio Grande to dedicate the month of September as Suicide Prevention Month. Mayor of the Village of Rio Grande, Matt Easter said, while suicide prevention awareness is important to address year-round, this month will be a dedicated time to come together for conversations about the topic. Online registration closes at noon Friday, April 13, with walk-in registration beginning at 9 a.m. Saturday, April 14 prior to the walk. The goal for this year’s walk was $5,000, and that number has not only been reached, but doubled to over $10,000 raised toward AFSP’s efforts. 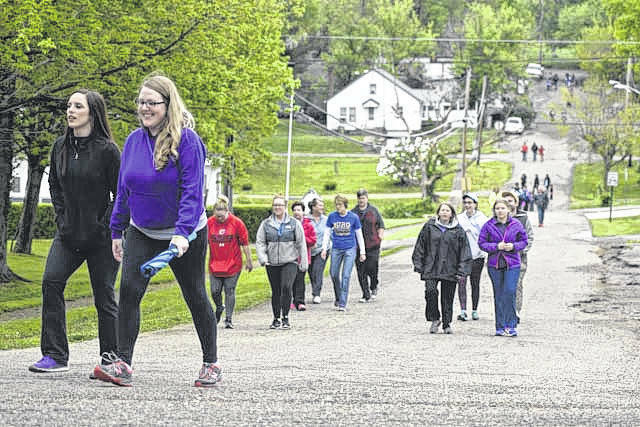 Pre-walk events will include a balloon release; the VFW Honor Guard; speaker Melissa Davis; local musicians Devin Henry, Wade Jarrell, Jenny Henchey and Ben Davis, Jr.; a visit from Therapy Dogs International and an expression tent for children. To register for the walk, please visit www.afsp.org/Rio. For more information on the walk or suicide prevention, contact Kelly Bonice at (740) 245-7439 or kbonice@rio.edu.